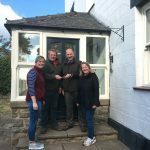 Following a rigorous selection process, the Duchy of Lancaster has awarded the tenancy of Ripley’s Farm on the Cloughton Estate in Yorkshire to Adam and Claire Turnbull, formerly of Grange Farm in Sinnington. The Turnbull family will take over from Ian and Suzanne Burnett, Duchy tenants at Ripley’s Farm for three generations and whose care and stewardship of the holding has been exemplary over that period. Part of the Duchy’s Cloughton Estate, Ripley’s Farm covers 255 hectares of mixed arable and grazing land in a commanding position overlooking Scarborough Castle and the Yorkshire Coast. 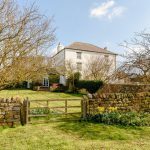 The steading includes a substantial 6-bedroomed farmhouse and a number of good quality farm buildings, with plenty of space for Adam and Claire to grow their young family and expand their farming business. 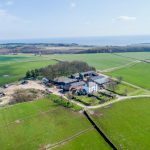 The steading is situated approximately two miles to the north west of Burniston village and five miles from Scarborough benefitting from excellent transport and communication links. Adam previously worked on the family dairy farm for 12 years and has been a partner in the business since 2013. His wife Claire is a qualified dental nurse and has recently opened a new milliner’s shop in Malton in partnership with Adam’s mother. The couple also have a young son Oliver who is almost 2 years old.